I took my Super Zen to the office today for an 8-hour session, not unlike what my former ZEN SE84C+ was regularly subjected to. This was the first session after burn in, which I did at home. The final burn in was a session with my wife's MP3 player, with its puny signal that the Super Zen amplified to a loud, satisfying listening level. 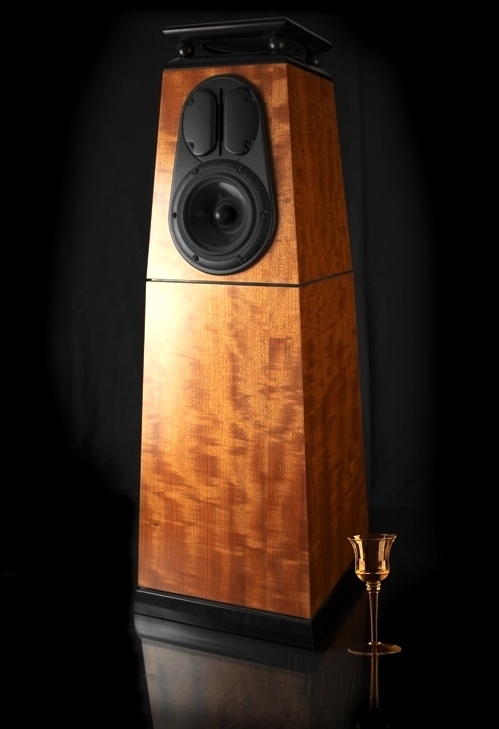 At home I had nothing to compare the Super Zen to; I had used the trusty white SE84C+ in the office with the fabulous Trapezium speakers for over a year. I had hooked up the SE84C+ at home on only a couple of occasions. First, the Super Zen looks like it was made to pair up with the ZSTAGE I have there. They both have a similar finish, although the typewriter finish on the Super Zen is a bit more wriggly than the finish on the ZSTAGE. Now the acid test. I used the same tube complement from my SE84C+ to avoid introducing another variable to confuse the difference between these two amps; a National Union 5U4G rectifier; two SV83 tubes I bought from Randy at DECFEST 2011 and a JJ E88CC (6922) tube; one of the good ones. I could tell right away that the Super Zen had something the SE84C+ did not have - an intrinsic sweetness; like the sweetness in my TABOO with V-caps. I prefer the aggressive bias position, so I maintained that throughout the session. The soundstage was more open and the sound, despite the aggressive bias mode, was a little more relaxed than the SE84C+. The tweaking of the front end has produced noticeable, palpable results. The conclusion I can draw is that Mr. D. has scored a home run again with the latest version of the little amp that launched DECWARE, slays giants and brings numerous folks into the fold. Thanks for posting your impressions. It is a great amp, and I enjoy it with the Trapeziums as well. I agree with you RR,it is a fantastic little amp and I am enjoying it immensely. Great post. I decided to pop in the Valve Art 274B and a 1976 6N1P-EV which has black plates. The sound is more forward, with stronger bass. I played some without the ZSTAGE attached to it. Funny that I did not sense the amp clipping at more than 3/4 volume. I don't know if this SUPER ZEN needs the ZSTAGE as much as the SE84C+ seemed to. As Steve C wrote, the detail is increased. I had not mentioned that in my review. Clearly the re doing of the front end of this amp has a lot to do with this increased fidelity we are hearing. New to the forum, and trying to figure out my 1st Decware amp purchase. I don't have 5 posts, so I'm unable to PM. Apologies in advance for indulging the the public forum with this. Given the above criteria, which of the amps I listed would you recommend? Given the new criteria, which of the amps I listed would you recommend? Thank you for your help, and to anyone else who wants to chime in. All input is appreciated. I'm looking forward to "Zen" experience. It' is useful to know what other equipment you'll be using. . . whether in a big or small room. . . . I have 3 sets of speakers 101, 97, and 94 sensitivity. All cabling is Kimber Silver, not today's silverstreak, rather the pure silver stuff circa the 90's. Hope this helps. Thanks again for the guidance. Thanks for the info. Barring complicated crossovers, or their presenting a very odd load to the amps, the efficiency of your speakers should mean that any of the amps should mate well and give you enough volume. I don't have direct experience with any of the amps you list, though I have owned two similar amps, a "Select" and the earlier Integrated, SE34I.2. In either listing of your priorities I believe I would choose between the SE84KC and the SE34I.3, and if forced to I'd recommend the former for the first list and the latter for the second list. The ZEN SE84CKC and the SE34I.3 are like siblings. They have the same kind of sound; the DECWARE house sound, if you will; fantastic imaging; holographic presence, speed and musicality. The SE34 has 6 watts and the SE84 has 2.3. The SE84 likes a 2-4 ohm impedance speaker, while the SE34 needs to see an 8 ohm load to give you its full 6 watts. The TABOO and MINI TORII are like cousins. I believe they are both SEP. The TABOO is 6 watts while the MINI is 4. You can order a headphone output with either of these. The TABOO has a lucid mode switch, which allows a cross channel type presentation to some recordings at the flip of a switch. This amp has insane fidelity; when paired with a preamp it has a lot of balls. Mine has V-caps, which give it a very sweet sound. The MINI's advantage is that it has such versatility because of all the tube choices. Also the new negative feedback gizmo allows you to dial in the sound you want. The treble control can tame a single driver's shout or a very shrill recording. The MINI does not need a preamplifier to give you full weight. The Zu DruidMKV's are 16 ohm, the Hoyt-Bedford 1.5's are 8 ohm, and the Omega Super 3XRS's are 8 ohm. The order page offer's a choice of output transformers. 1 is for 2-6 ohm speaker loads, and the other option is for 6-16 ohm speaker loads. If I ordered the latter option, I should be OK right? Riviera, which amps best fit the two sets of sonic priorities? What's this "lucid" mode? Does the "lucid" mode on the Taboo push it's sonic merits ahead of the SE84CKC and the SE34I.3? And note that you can add a treble cut circuit to any amp, according to Steve three years or more ago. I wouldn't be without one. What does a treble cut circuit do? Why would you want to attenuate the higher frequencies? It allows you to attenuate the treble, and the control is not in the signal path. I use mine all the time as I guess my room is very bright, I haven't lost much high frequency hearing, and I don't just listen to "audiophile recordings." That and I guess I'm easily annoyed by high frequency grain. That makes sense Lon. Always nice to have options to voice according to environment or playback source/quality. If not in the signal path, how are they doing it? Feedback adjustment? What's the cost for this mod/option? I think it was 85 or 100 when I added it to my Integrated. My two Toriis came with it (as does the Mini Torii). The high frequencies are shunted to ground, no feedback used.